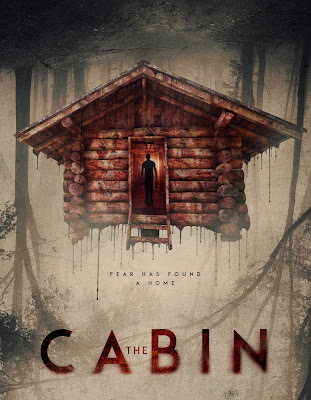 Swedish chiller "The Cabin," the debut feature for Johan Bodell, is set for a North American premiere this December. Young American couple Rose (Caitlin Crommett) and Harry (Christopher Lee Page) are on their way to visit Harrys family cabin. Both as a nostalgic vacation and as a way to rekindle their relationship. But they’re not the only one that decided to visit the cabin this weekend. "The Cabin," scripted by Erik Kammerland and produced by Alec Trachtenberg of Coast ART Productions and KW Studios, takes you to the rural backwater of the Swedish summer, and on a ride you will never forget. We spoke to Bodell ahead of the film’s release next week. Tell us how you got into filmmaking? Me and my friends picked up my family’s old VHS camera when we were around 11 years old. Our first film was a Star Wars film, followed by an epic space adventure called Space Knights. We draped our attic in aluminum foil and forced our classmates to watch it when we were done. I was hooked. My friends found other interests but I kept on going. When it was time for high-school I applied to Swedens only specialized film high-school and got in. Moved to the island of Gotland when I was 15. There the interest only grew and I still work with a lot of my classmates still, including Erik Kammerland who wrote The Cabin and Robert Sarkanen, the editor. Have since taken a couple of college classes in California and worked with films since I graduated from high-school. And at that stage did you have an idea of what ‘types’ of films you’d like to make? I still don’t really know what type of films I’d like to make. I don’t want to be locked into any genre. I would like to be able to do a horror, followed by a comedy or adventure. The main factor is that is a story I would like to tell. I’m not much of a screenwriter, I want to interoperate others scripts. I’ve written a couple of short-films myself but I feel more comfortable if someone else has written the script, that way you have a distance to the script and can focus on the directing. The ideas come from all over the place. For The Cabin, I and Erik set out a couple of guidelines for ourselves. Few actors in a few locations, to be able to make the film. We had a look at the farm where my aunt lives today and my father grew up on. It has an empty house on one side of a lake and the cabin on the other. We built the story around the location in this case. And do you feel you’ve become a better filmmaker with each project you do? Oh yes! I learn so much on each project. I’ve made a bunch of short films over the years, both narrative and documentaries. This was my first feature and that was a clear difference. Not so much in the day to day shooting. I still had my workflow, but you had to think totally differently. I’ve been working on longer shows and project as production coordinator and assistant director that really helped me prepare for this film. It was really in post-production the number of decisions hit me. But it was also very nice since if you got stuck on a scene, you could always move forward to the next one. There was always something that needed to be fixed. How does this latest one compare to the first, in your opinion? Since it’s my first feature I don’t have anything else to compare with. I can’t really compare it to the short-films, music videos and corporate videos I’ve done over the years. It’s a different category of filmmaking. I don’t think myself that I have a special style, but a couple of friends always tells me that they can spot if it’s a film I’ve made. What sort of feedback are you getting? A lot of positive feedback! The reviews are starting to come in and the majority of them are really good! From the first screenings here in Sweden to the LA premiere and now the release on VOD and DVD, it’s been a joyful ride to finally be able to show people on what we’ve been working on all those late nights and weekends for the past year. And when you get good feedback and reviews, it’s even more joyful and we’re super excited to get started on our next film.